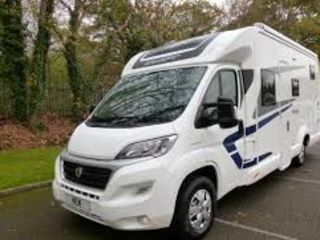 The Escape motorhome is ideal for couples or small groups hoping to get away for a relaxing break and perfect for exploring Scotland. Featuring a practical kitchen, modern corner washroom and 150L fridge with separate freezer, the Escape has everything you need to feel at home. 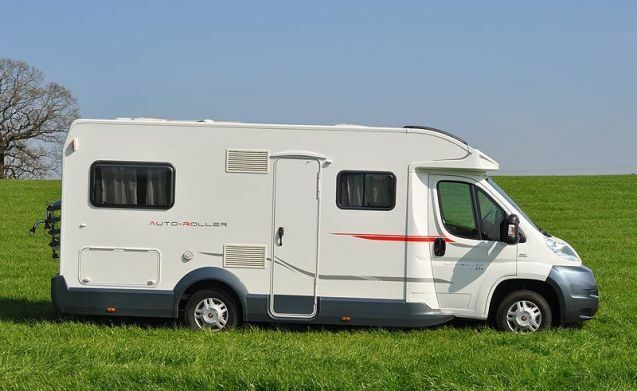 With one fixed double bed at the rear of the cabin and another to the front in the convertable L-shaped dinette-lounge, this motorhome can sleep and safely carry four passengers. 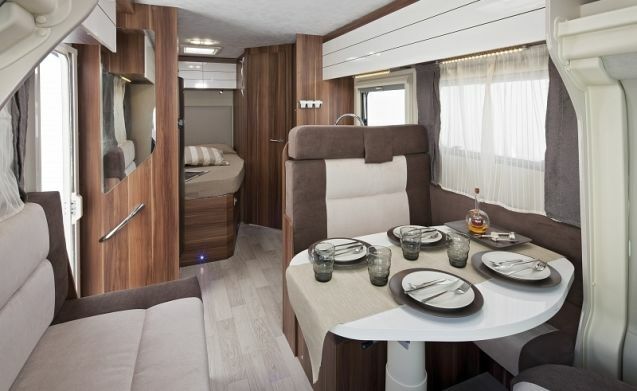 The rear bed also folds up to reveal a storage area underneath to keep clutter to a minimum. This is accessible from outside the van as well so please try to resist the temptation to use it as an alternative entrance in an attempt to confuse or mesmerise your fellow campers. 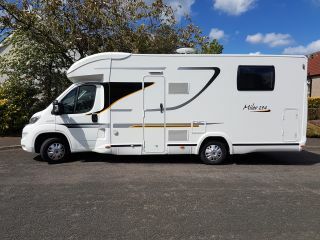 If the Scottish scenery is proving not quite as enthralling as you’d hoped or you’re stuck inside due to that inconvenient but classically Scottish weather’ this motorhome is kitted out with a CD player and iPod connection, TV and DVD player for those who like their home comforts.